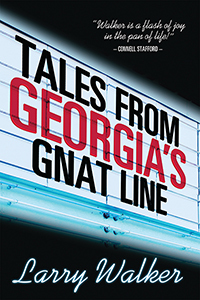 TALES FROM GEORGIA'S GNAT LINE is "right on time" for this generation. Wisdom and humor from this gifted Georgia statesman leap off each page. Thank you Larry Walker. Larry Walker has spent 77 years on the Gnat Line…he excels as a listener, and delights you with his endless trove of stories. His recall, humor, and drawl are priceless. He’s as down-home as a plate of your grandma’s cathead biscuits. Read his book, and you will understand. A lawyer by profession and a devout Southerner by confession, Larry Walker has forged a varied career including a successful law practice in his hometown of Perry, Georgia, to legislating under the Gold Dome in Atlanta to writing a newspaper column to a love of field and stream. His extra-ordinary understanding and appreciation for people and place gained along the journey was evident in Life on the Gnat Line, his first book. Tales from Georgia’s Gnat Line moves him to the next level in the company of Southern writers.